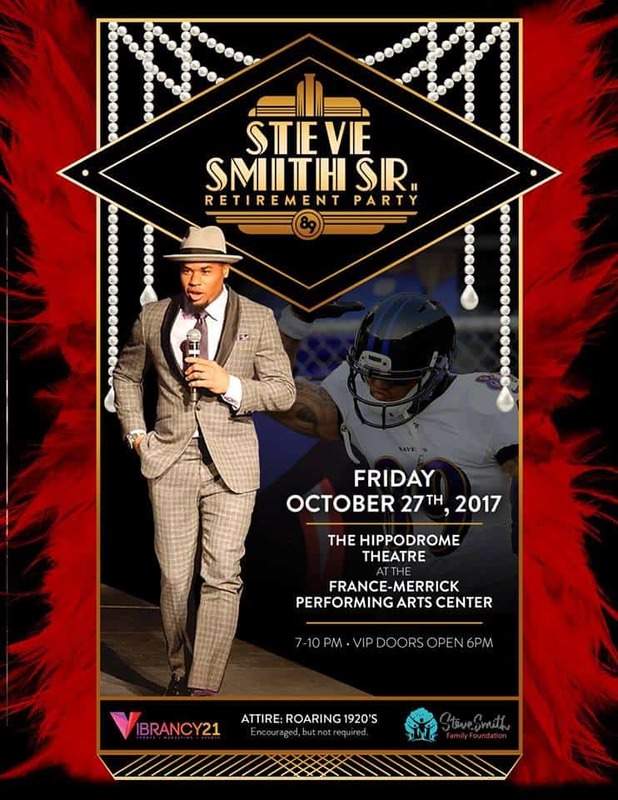 On Friday, October 27th 2017 from 7 PM – 10 PM at Hippodrome Theatre at the France-Merrick Performing Arts Center, Baltimore will celebrate former Baltimore Ravens and future Hall of Fame wide receiver Steve Smith Sr’s 16 year professional career and accomplishments on and off the field. The Roaring 1920’s themed party for Steve will be celebrated alongside former Ravens teammates, active players, personalities from the NFL Network and other surprise guests. So come dressed to impress ! Themed attire suggested but not required. Don’t miss out on this memorable evening to commemorate #89, Steve Smith Sr. VIP Doors Open at 6 PM. The party will also feature the best from over 30 local restaurants. VIP tickets are $250 which will allow you to meet Steve and fellow past and present Ravens players plus some other surprise celebrities and allows you to enjoy food offerings plus open bar all night. There is also a $125 ticket that allows you to enjoy food offerings all night plus open bar. In order to make the event accessible to more people, there is also a $50 ticket that allows you to enjoy the night’s fun plus food all night BUT beer and cocktails are extra. Proceeds from the event will go to various causes Steve champions – protecting women and children from domestic violence and providing opportunities to those who need it most here in Baltimore and Charlotte, NC. 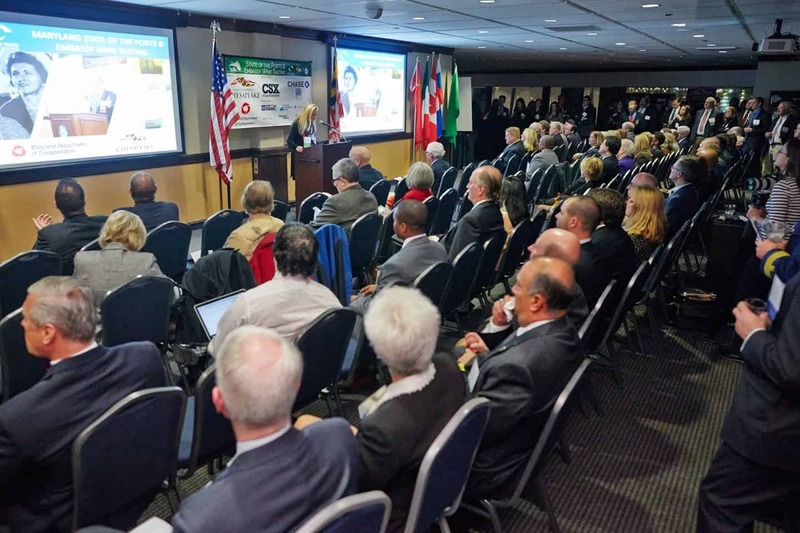 * you can also e-mail nick@vibrancy21.com or call (443)-846-0655 to try to bypass the $5-$10 per ticket processing fee.